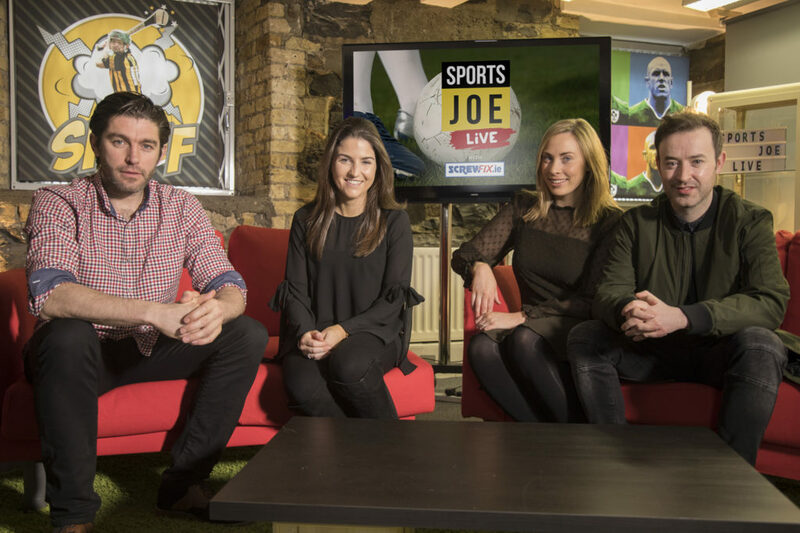 Tonight at 9.30pm, in partnership with MEC Wavemaker and Screwfix.ie, Maximum Media will premier the first episode of its first ever live show designed for social distribution, SportsJOE Live. The brand new weekly sports show will go out live from Maximum Media’s newly opened purpose built studios, via Facebook Live and Periscope at 9.30pm each Wednesday. The show’s format envelops a diverse cross-section of compelling sporting personalities that aren’t afraid to say exactly what they think. Sports personalities involved include Ronan O’Gara, Andy Reid, Stephen Ferris, Ashling Thompson, Paul Galvin, and Dion Fanning. Presented by The GAA Hour host Colm ‘Wooly’ Parkinson and Australian born comedian Damian Clark, SportsJOE Live is the first socially distributed broadcast show of its kind in Ireland. With no weekly sports show being broadcast on linear TV in Ireland currently, the show aims to be the largest live sporting show in the Irish market. Maximum Studios is a stand-alone, full HD studio capable of 10 camera multi-cam live broadcast. The technology will enable live broadcasts from anywhere at any time using the very latest in mobile broadcast technology. Under the direction of Mick Brennan, Head of Production, SportsJOE Live will also utilise the latest in Virtual Reality gaming capabilities to set guests and panelists sporting challenges with a twist. Caoimhe Maxwell, Head of MEC Wavemaker: We were delighted to bring this unique opportunity to Screwfix.ie. With eyeballs migrating to digital, we see branded content as the perfect way to reach new and existing Screwfix.ie customers. We’re excited to partner with SportsJOE on this media first”. The partnership, negotiated by MEC, will see Screwfix.ie seamlessly integrated into the live show, with a number of branded segments also pushed out from JOE channels in the days after each live broadcast. SportsJOE Live will be shared across both SportsJOE and JOE’s social channels, with a combined reach of over 1.5 million. It is one of a number of new shows to be launched this year across its channels, which also include Her and HerFamily. Tune in to #SportsJOELive tonight, March 15th at 9.30pm, on Facebook Live and Periscope.